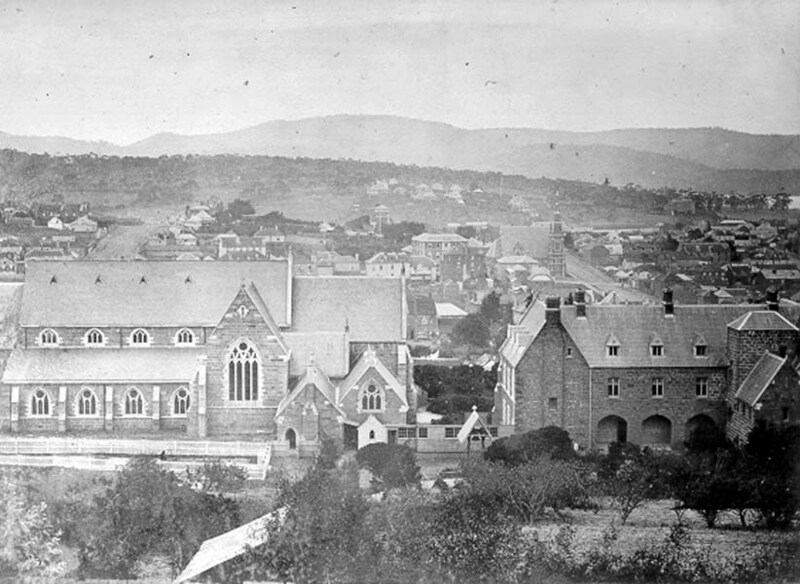 Thomas Nevin’s photograph of this church, St Mary’s Cathedral, 164 Harrington Street, Hobart, was taken a few years before 1876, the date when the lantern tower was removed and a substantial part of the cathedral rebuilt. It was closed for five years, re-opening in 1881. Detail: single image of stereograph below. 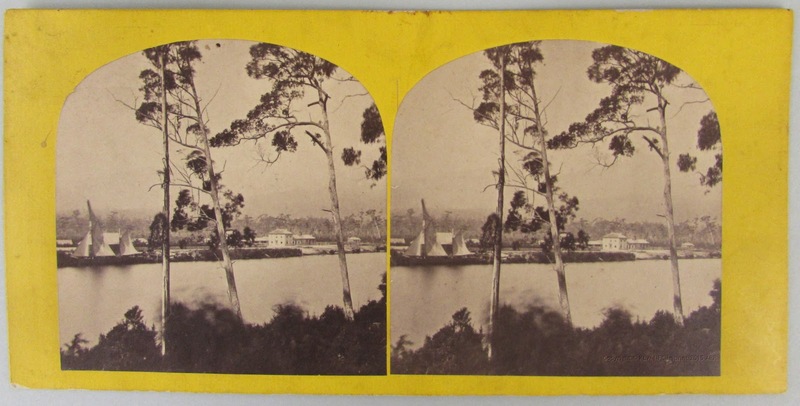 Thomas Nevin took this double image using a twin-lens stereoscopic camera (probably made by Dallmeyer or Dubroni) ; the second image on the viewer’s right includes more of the house in front and the hill beyond. 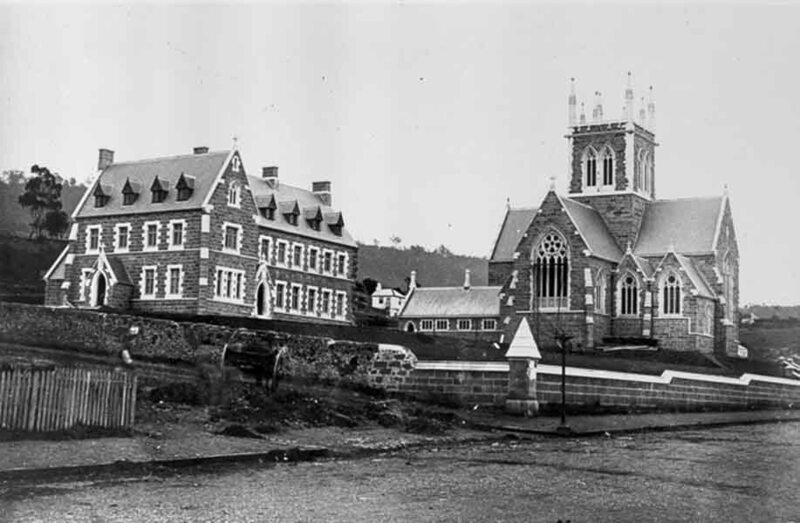 He positioned his camera on the upper storey of a building, directly opposite the front of the cathedral and convent, about five houses below Harrington Street, perhaps even as far back as Murray Street (see view from Queen’s College below). The photograph’s foreground scoped the backyards and gardens of several houses, few of which are standing today. 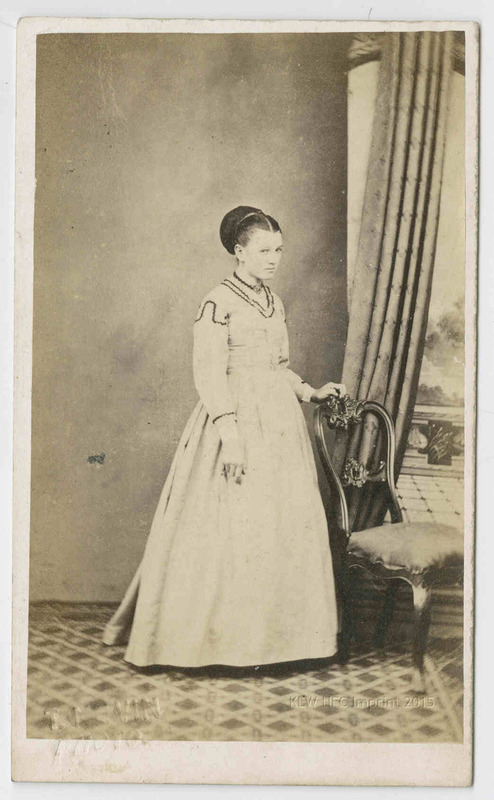 This black and white print (below) was taken from Nevin’s original glass negative from the 1870s. 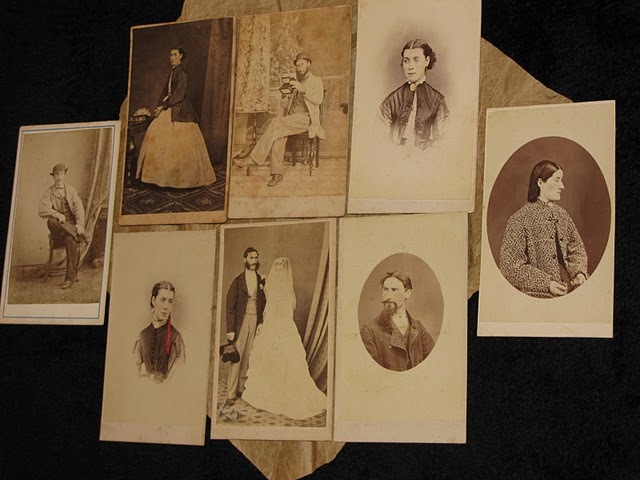 It was collected by E. R. Pretyman in the late 1890s along with a number of other prints, glass plates, stereographs and portraits taken by Nevin dating back to the 1870s. 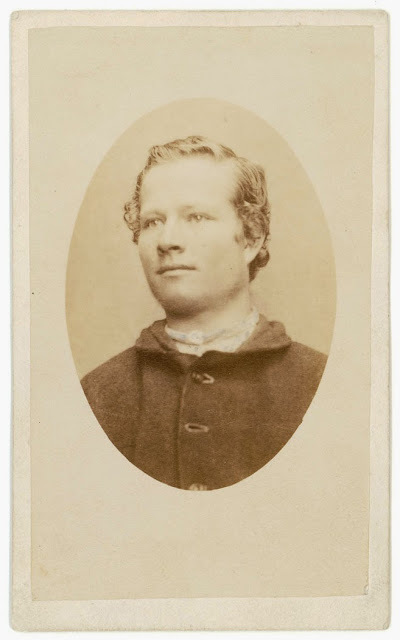 One notable portrait originally held in the Pretyman collection is Nevin’s fine albumen cdv of Attorney-General W. R. Giblin, ca. 1874. 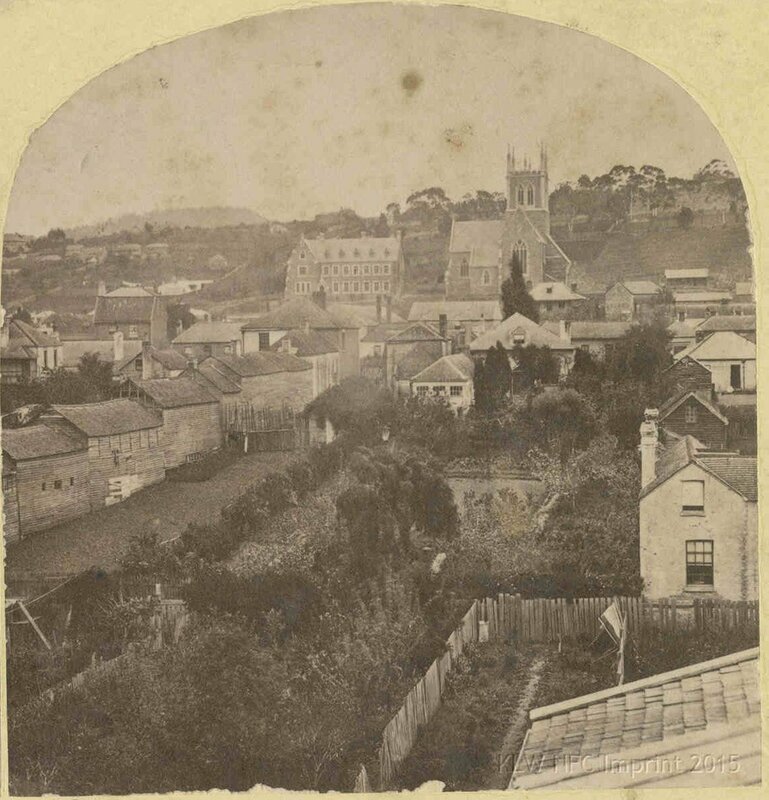 In this detail of a side view of the church looking down Harrington Street towards the River Derwent, which was taken about the same time from Lime Kiln Hill, a horse and cart awaits, possibly Nevin’s, captured by his colleague and close friend Samuel Clifford up on Lime Kiln Hill. 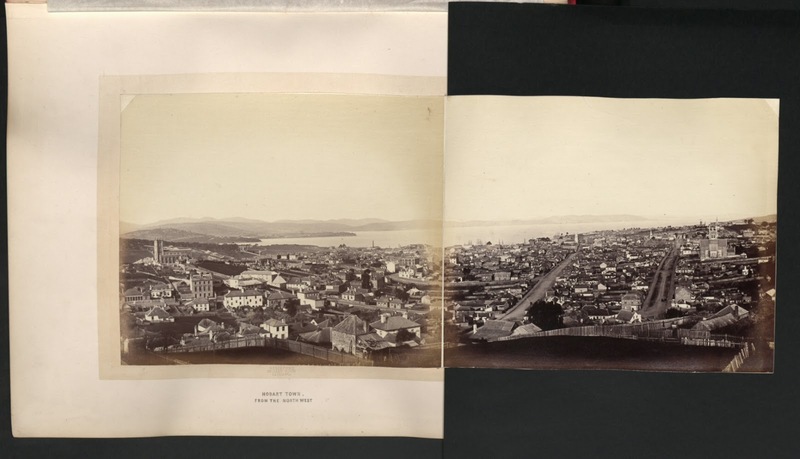 Both photographers produced panoramas with commercial appeal over the course of their collaboration on many photographic excursions from the 1860s until Clifford’s retirement in 1878. 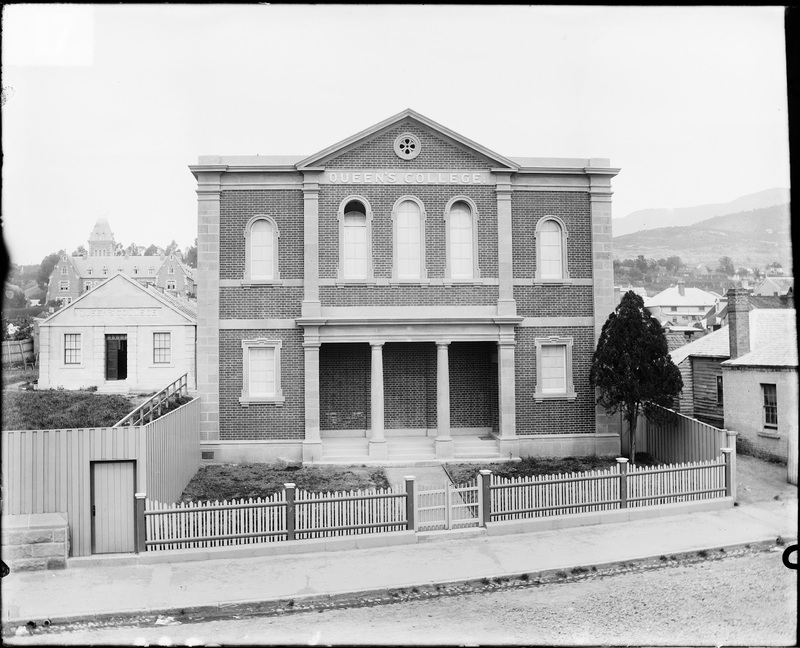 The Tasmanian Museum and Art Gallery holds a sizeable collection of Thomas Nevin’s stereographs dating from ca. 1868. 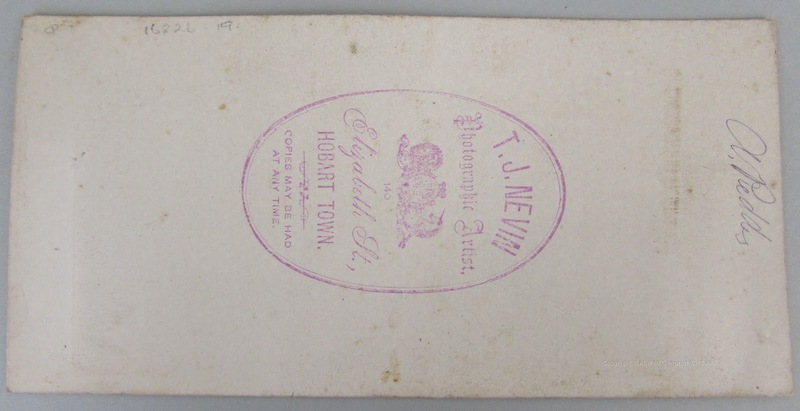 Thomas Nevin exhibited at the Wellington Park Exhibition in 1868, and at the Hobart Town Hall Bazaar in 1872. 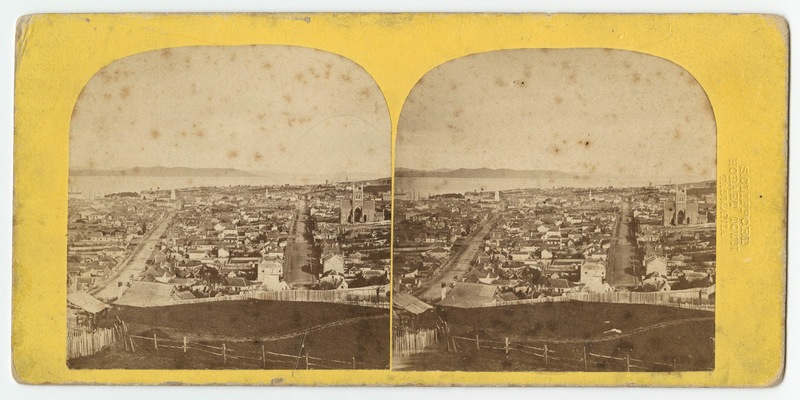 This stereograph titled Hobart from Lime Kiln Hill looking down Harrington Street carries his New Town studio stamp on verso, taken in the mid to late 1860s. 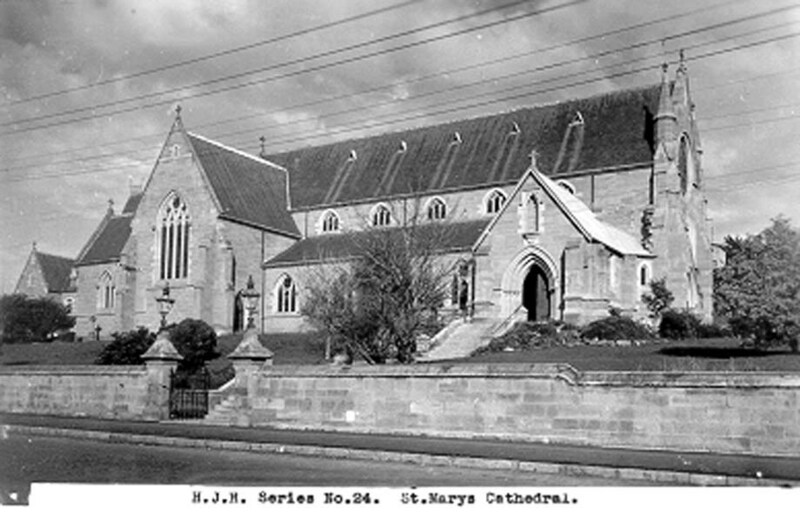 St Mary’s Cathedral is more clearly visible in the image on left. 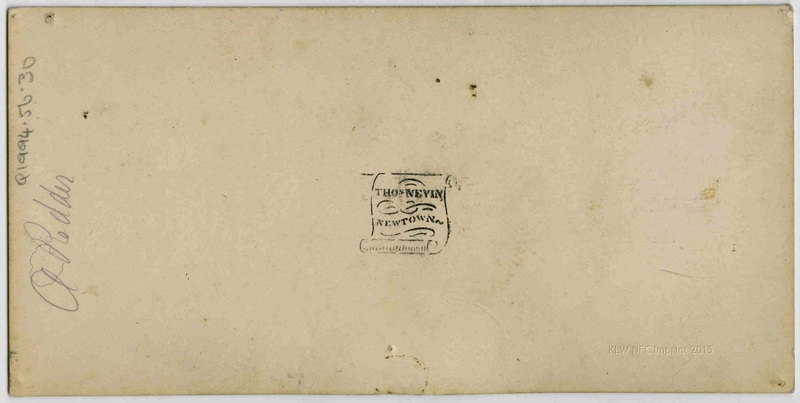 The verso of this stereograph also carries the inscription “A. 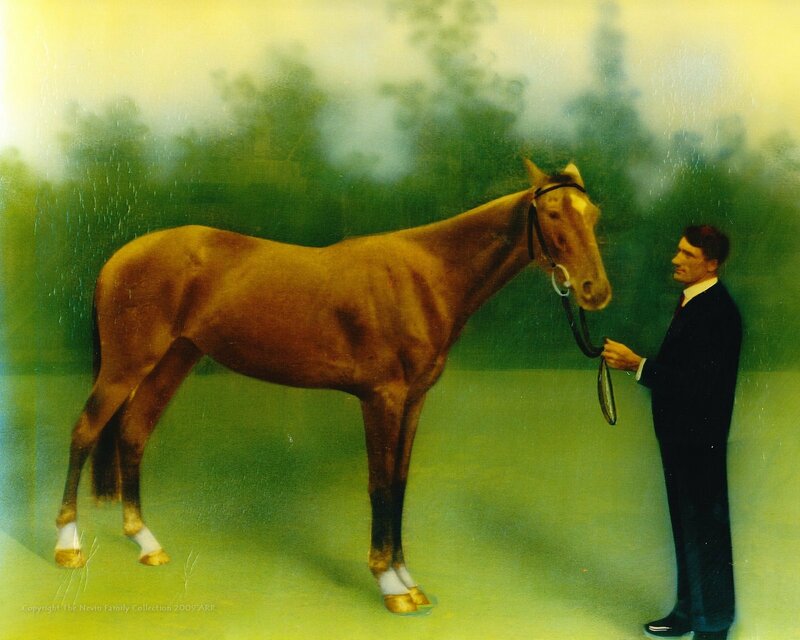 Pedder”, commissioned for Superintendent Pedder and family. IMAGE CONTENT: view townscape; . This series bearing Samuel Clifford’s studio stamp on a buff mount records the first stages of building. 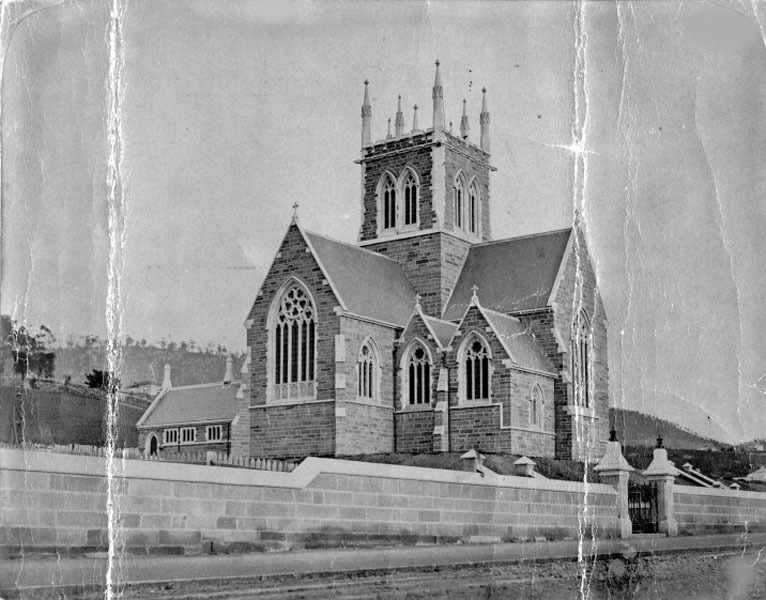 Photograph from the collection of James Backhouse Walker of St. Mary’s Cathedral in Harrington Street in about 1875. Henry Hall Baily is the photographer. Source: The Mercury (Hobart, Tas. 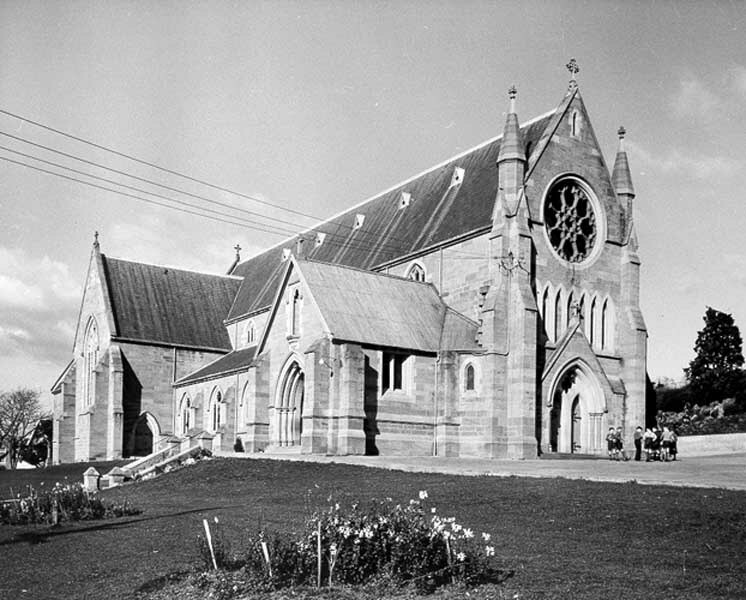 : 1860 – 1954) Mon 24 Jan 1881 Page 3 RE-OPENING OF ST. MARY’S CATHEDRAL.RE-OPENING OF ST. MARY’S CATHEDRAL. The ceremonies connected with the re-opening and dedication of St. Mary’s (R.C.) Cathedral, Harrington-street, were performed yesterday with the elaboration and pomp with which the adherents of that Church are accustomed to surround their sacred mysteries. It is nearly five years since—on the 28th May, 1876—St. Mary’s was closed to the public in order to allow of alterations and additions being made, which, after mature deliberation, were deemed absolutely necessary. Some diversity of opinion was at first expressed as to the advisability of demolishing the lantern tower, the most conspicuous feature in the original design, but as stone after stone was removed, revealing the scandalous state of the masonry, the wisdom of the course adopted was admitted by all. New plans were pre-pared by Mr. Hunter, differing in many respects from the original design furnished by Mr. W. Wardell in 1860, and the carrying out of the amended design was entrusted to the Messrs. Shields. The manner in which they have executed their work reflects the greatest credit on them, and adds one more important edifice to the several those excellent and trusty builders have erected in this city. As the new building approached completion invitations were sent out by the Bishop of the diocese to the prelates and other distinguished persons in the neighbouring colonies, inviting their attendance at the dedication ceremony, and in response there was a large and influential attendance from the other side of the Straits, and the services were consequently very imposing. The attendance was very large. 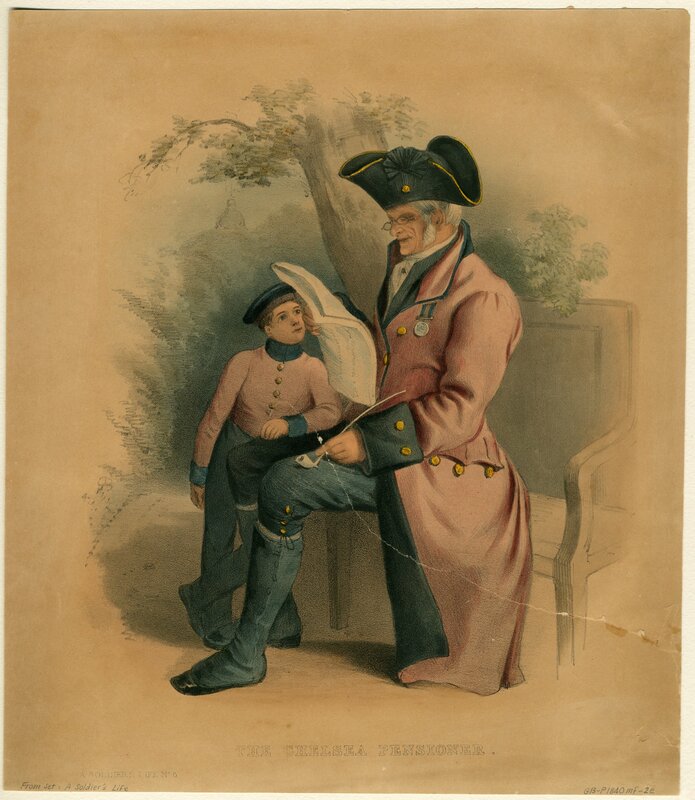 The day was a bright one, and the convenience afforded by the Main Line Railway manager and Mr. Webster, proprietor of the Huon coaches, enabled large numbers of Catholics in the Midland districts and the South to attend the ceremonies. The cathedral being kept empty until it had been blessed, the grounds around it became soon after 10 o’clock the scene of activity and gathering from all points of the compass. At about 20 minutes past 10 o’clock a procession issued from the sacristy door, led by Dean Beechinor (who throughout the whole of the proceedings acted as Master of the Ceremonies), and passed between a long line of members of the Hibernian Society, who were drawn up on either side, standing bareheaded and wearing their regalia. The procession consisted of crucifer, with acolytes, bearing candles ; the choir ; the clergy ; and His Lordship, Bishop Murphy, who was attired in cope and mitre, and bore the pastoral staff. This procession wound its way around the outside of the church, intoning the service appointed for such occasions, and the Bishop sprinkling the walls with holy water. A similar ceremony was observed inside the building, and then the general public were admitted, and very soon every available seat was occupied. Amongst the distinguished gathering of laity were the Minister of Lands (Hon. C. O’Reilly) ; Hon. 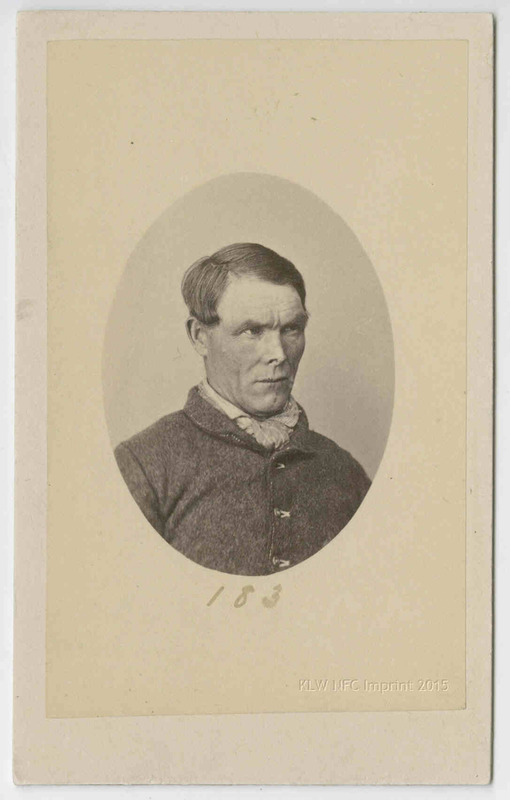 John Lord, M.L.C. ; Hon. C. H. Bromby ; Sir Archibald Michie, Q.C. ; Alderman Burgess, M.H.A. ; Mr. J. M. Dooley, M.H.A. ; The Mayor of Hobart (Alderman Harcourt) ; Messrs. H. Cook, C. J. Barclay, John Roberts, Thomas Sheehy, and a large party of the officers of the Italian transport steamship Europa. A second procession, which entered under the supervision of the Rev. 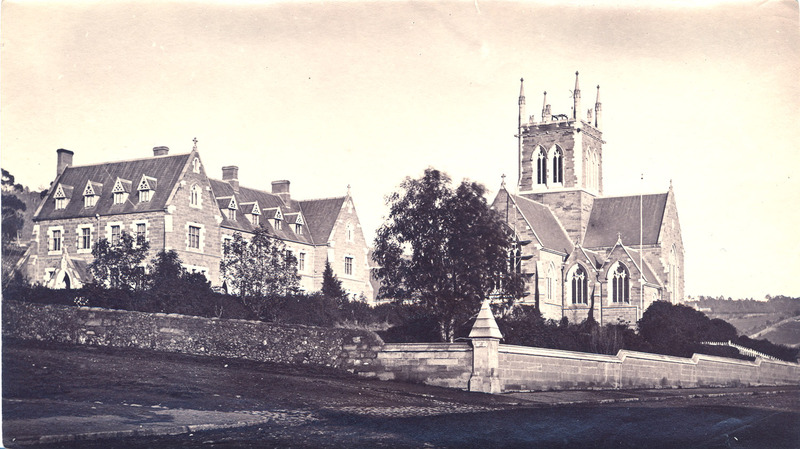 Father O’Regan, consisted as follows :—Young lady boarders at the Presentation Convent, about 20 in number, and headed by Miss Gordon; Children of Mary (Cathedral), about30 ; Children of Mary (St. Joseph’s), about 20 ; Children of the Immaculate Heart of Mary, about 50; members of the Hibernian Society, about 40. The females were placed in the side chapel, which is being used as a temporary baptistry, and the males on seats in front of the Sacred Heart altar. All the altars were pro-fusely decorated with flowers, ferns and candles, and as the preparations (lighting up, etc.) for the Mass progressed, the scene became very striking, the majestic appearance of the High Altar coming in for the greatest quantity of admiration. The cathedral, we may here say is a very handsome Gothic structure, the style being that of the early decorated period of English architecture. It provides all the necessary space for both congregation and those engaged in the ceremonies (except the baptistry) combined in the entire plan of the building, the only portions remaining unfinished being the western front of the nave, the baptistry at end of the south aisle, and the tower and spire at the west end of the north aisle. The foundations of all these have, however, been built up to the surface level, and the west front shows at present an evidently temporary enclosure of painted weather-boarding. There is ample accommodation for seat-ing from 800 to 1,000 persons. The plan of the church is cruciform, and embraces nave, north and south aisles, transepts and chancel. On the north side of chancel are two chapels, one the Lady Chapel, and the other used temporarily as a baptistry, and a third on the south, besides the Nun’s Choir, dedicated to the Sacred Heart. There are also two large sacristies. The lengths of nave and aisles, not including the space under choir gallery, is 85ft. by an extreme width of 52ft. The transepts are 82ft. by 22ft., chancel 40ft by 22ft., and side chapels 20ft. by 12ft. 6in. each. The choir gallery at west end of nave is at present 22ft. by 16ft, but when completed will be 10ft. longer, and is supported by six moulded stone arches, on small octagonal shafts, having moulded caps and bases. The ceiling underneath the gallery is divided into panels, by massive moulded ribs and beams, resting on stone corbels. The ribs are stained and varnished, and the panels painted a delicate grey. A temporary staircase from the aisle affords access to the gallery, but ultimately it will be approached by means of winding stone stairs from the western porch. The tower, 22ft. square at the base, will, with the spire, reach to a height of nearly 200ft. The nave roof is carried by hammer-beam principals, springing from moulded stone corbels, the height from floor to ridge being 54ft. The transepts have polygonal boarded and panelled ceilings. All other roofs are open to the ridge, the timbers throughout being stained and varnished. The windows vary from two to five lights, and are all mullioned, the heads being filled with beautifully flowing lines of geometric tracery. The best of the stone from the original building has been carefully selected and again used in the new, the deficiency being supplied from the contractor’s own quarries on Knocklofty, and from the Tea Tree, near Brighton. The splendid memorial stained glass, to the late Bishop Willson and Father Hall, has been replaced on the great chancel window, and looks, if possible, more beautiful than ever. The memorial brass which formerly was laid over the vault of the late Very Rev. Dr. Hall, in the pavement of the nave, has now been placed in the face of a pier between two of the chapel arches, The communion rail across the chancel arch is of polished blackwood on beautifully wrought and scrolled iron standards, with polished brass leaves inserted. These have all been made on the ground by the contractor’s own workmen. The high altar is a beautiful piece of ecclesiastical workmanship, and is the only perfect altar in the colony, being entirely of white stone, and wrought from the designs of the architect of the building. The “table” is supported by four Irish marble columns, imported expressly for this purpose (the gift of Mr. John Molloy, of Ballyduff, King’s County, Ireland), with carved caps and bases, the intermediate spaces being deeply recessed and richly panelled with figures of kneeling angels holding scrolls, the centre panel having a floriated cross and emblems of the evangelists, with the Agnus Dei between them. Above the tabernacle, which is made of iron, with a richly illuminated front, set in the stone, rises the throne, which consists of an open niche, surmounted by a stone canopy, supported upon elaborately carved pillars and moulded jambs, with crocketed pinnacles at each angle, the canopy tapering up to a height of 16ft. from the pavement, and terminating with a simple gilded cross. The reredos consists of two low, deeply sunk and moulded stone panels, richly diapered. The whole of the end wall of the chancel, from the pavement up to the string course under the window sill, is painted, and will hereafter be covered with rich decorations in gold and appropriate colours, harmonising with the stained-glass window immediately above it, forming altogether a suitable back-ground to the high altar. As before stated, the altar is of pure white stone, from the Ross quarries, and the workmanship, which is highly creditable to the artificers, is by the Messrs. Molloy, of Har-rington-street. The contract for the building was, as already stated, let to Mr. R. Shields, the total cost of which will be very nearly £9,000. The archi-tect of the entire work is Mr. H. Hunter, and it fully sustains his high reputation in his profession. The window tracery and several other details of the build-ings are from the original designs supplied by Mr. Wardell, the well-known architect of Victoria. We may add that the altar in the Lady Chapel was the gift of the builder, Mr. Shields, and is made of Tea Tree stone. The tabernacle on this altar was made and ornamented by Lady Weld, the wife of our late Governor. It was formerly used in the private chapel at Government House, and on the departure of the Vice-Regal family for Singapore was presented, with other articles, to the Very Rev. Dean Beechinor. The statue on the Sacred Heart altar, and the carpets on the sanctuary floors and the floors in front of the side altar, were the gifts of the children of St. Mary’s parish. In another very important respect the Catholic community is very fortunate with respect to their principal place of worship. This is the acoustics of the building, which were once more proved to be admirable, the voice of the priest at the altar being distinctly heard all over the building and in the west gallery, while the choir were also clearly heard all over the sacred edifice. Source: The Mercury (Hobart, Tas. 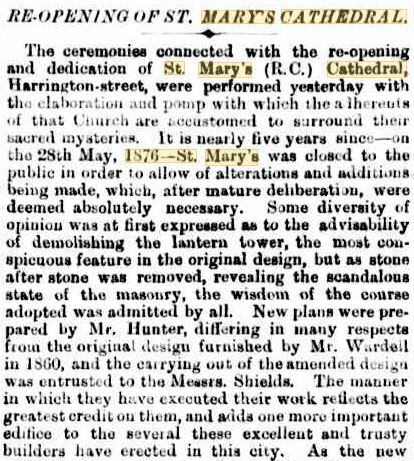 : 1860 – 1954) Mon 24 Jan 1881 Page 3 RE-OPENING OF ST. MARY’S CATHEDRAL. 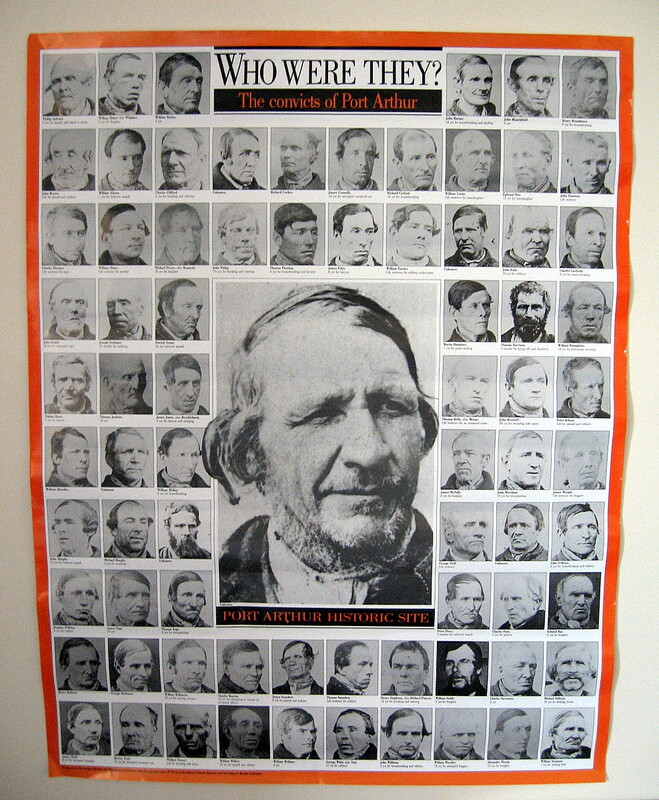 Lawyers, barristers, magistrates, politicians, police superintendents, detectives, their families and their prisoners were photographed by Thomas J. Nevin from the late 1860s to the 1880s. The Pedder family of magistrates and police officers, the family of solicitor John Woodcock Graves the younger, the McVilly family of teachers and police officers, and the family of Attorney-General the Hon. 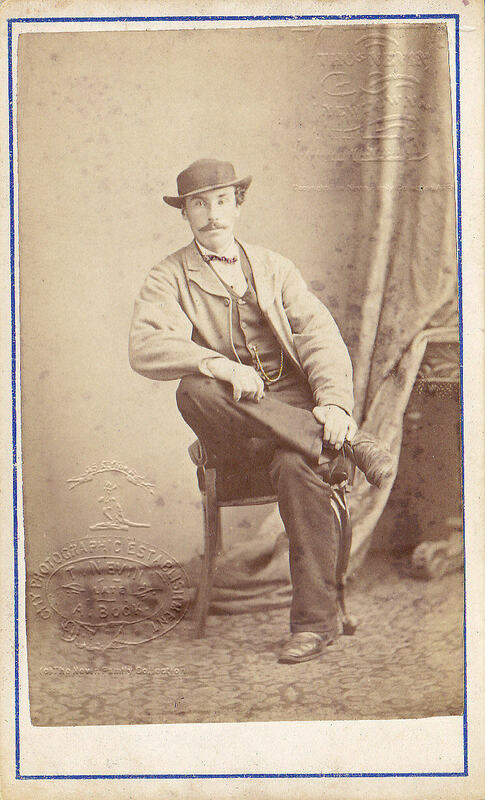 W. R. Giblin, all made use of Thomas J. Nevin’s commission with the colonial government’s Lands and Survey Department, the Municipal Police Office and Mayor’s Court, and the Hobart City Corporation to provide them with stereographic views and carte-de-visite portraits. 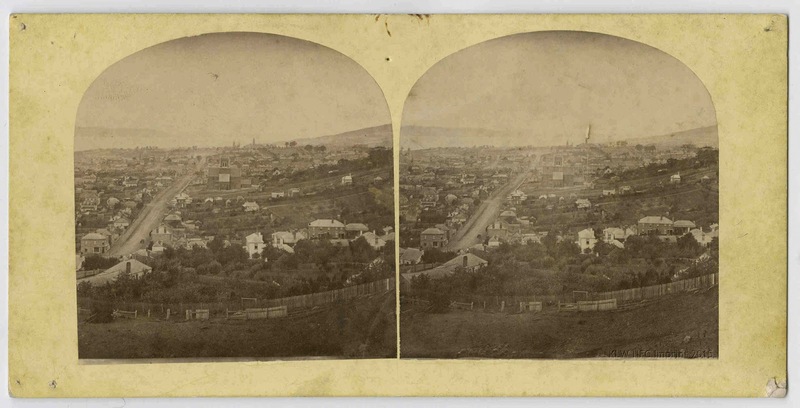 This is another stereograph by Thomas J. Nevin ca. 1870 bearing the inscription “A. Pedder” on verso, in addition to the two (above) also held in the Tasmanian Museum and Art Gallery collections. Alfred Pedder (1881-1977) may have kept these stereographs by Nevin from the estate of his father Police Superintendent Frederick Pedder (1841-1923), and Alfred’s daughter Sylvia in turn may have donated them to the Tasmanian Museum and Art Gallery in the 1970s (see Fox, J. 2012, p. 58). Pencil inscription verso “A. Pedder”.